Lightly coat an 8x8x2-inch nonstick baking pan with the melted butter, then line with plastic wrap. Combine the remaining butter, sugar, cream and salt in a medium saucepan over medium heat. Bring to a boil, stirring frequently to completely dissolve the sugar. Turn the heat down (so the mixture does not boil over) and continue to boil while stirring frequently until the mixture reaches 230 F, about 6 minutes. Use a digital thermometer for an accurate reading. Remove from heat. Add the chopped chocolate and stir carefully with a whisk. Stir until the chocolate has melted and been completely incorporated. Add the walnuts, bourbon and peppermint extract and stir with a rubber spatula until incorporated. Pour the fudge into the prepared pan, spreading evenly with the spatula. Cover with plastic wrap and refrigerate until firm, about 2 hours. To serve, remove the top layer of plastic wrap. Flip the pan upside down on top of a cutting board. Remove the plastic wrap. Cut into pieces of desired size. Store in tightly sealed plastic container in the refrigerator. Bring to room temperature before serving. 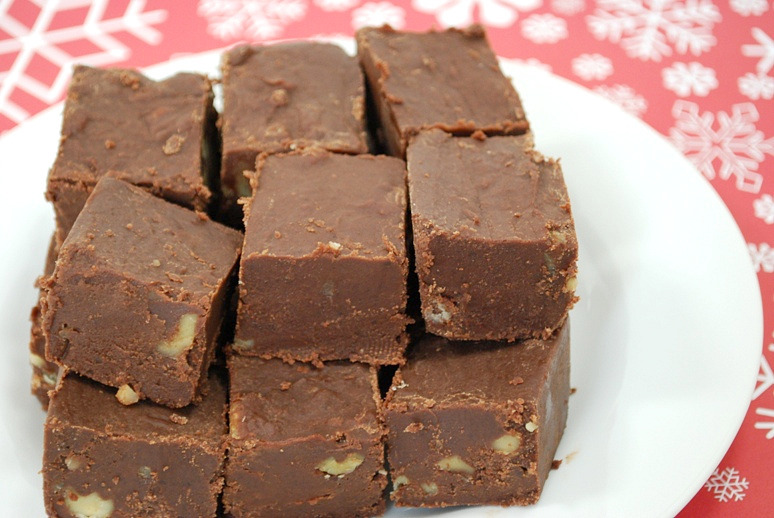 The fudge will retain the peppermint flavor for several days if stored in the refrigerator. For long-term storage (up to several weeks), freeze the fudge in a tightly sealed plastic container to prevent dehydration and to protect it from refrigerator or freezer odors.